When we think of Italian cuisine, eggplant and tomatoes usually come to mind. But the most Italian of all vegetables is actually broccoli. Broccoli was invented in Italy. During the Roman age, the farmers of Italy selectively bred broccoli from a sea cabbage that grew wild along the Mediterranean Coast. Broccoli is the enlarged unopened flower of that ancient wild plant. Broccoli was a staple in the kitchens of Italy a thousand years before eggplant was introduced from India or tomatoes arrived from the conquest of the New World. 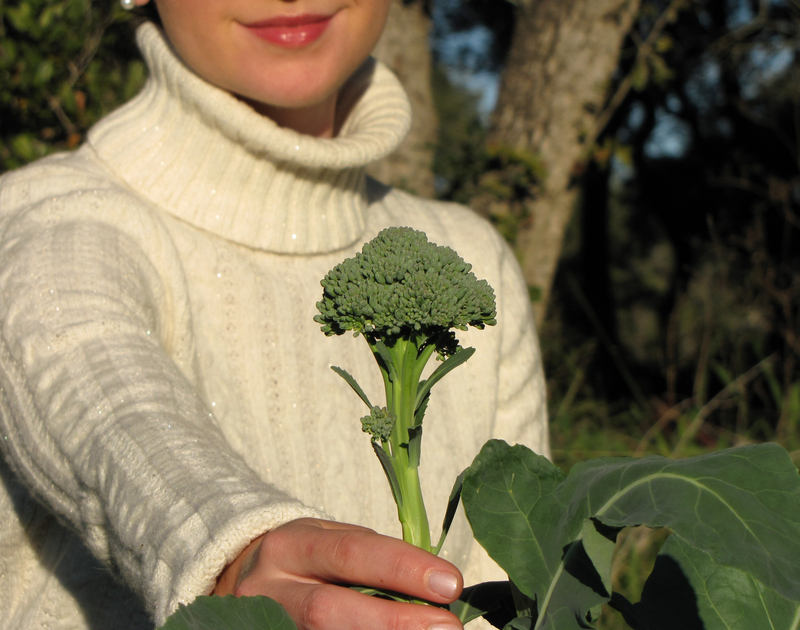 The French began to cultivate broccoli in 1520, and the English finally adopted this crop late in the 1700’s. But broccoli did not catch on in America. Those old nineteenth century varieties of broccoli required ten long months to mature. They had to be sheltered during winter and they were very susceptible to pests. Only the most skillful and patient of gardeners, like Thomas Jefferson and John Randolph, managed to grow broccoli, and even then it was more of a novelty. Then, in 1923, two brothers, Stephano and Andrea D’Arrigo, immigrants from Italy, planted broccoli on their farm in San Jose, California, in growing conditions similar to the Mediterranean climate of their homeland. They used seeds that were mailed to them from Italy. The D’Arrigo brothers shipped their freshly-picked broccoli on refrigerated railroad cars to markets in Boston and New York. This was one of the first successful cross-country shipments of fresh produce. Broccoli sales quickly soared in Italian-American enclaves along the East Coast. The D’Arrigo brothers were also the first to brand their produce. They packaged their broccoli under the Andy Boy label, and their marketing campaign of the 1920’s and 30’s helped establish the popularity of broccoli across America. The D’Arrigo Brothers is still a family owned company and is now being run by the fourth generation of D’Arrigos. 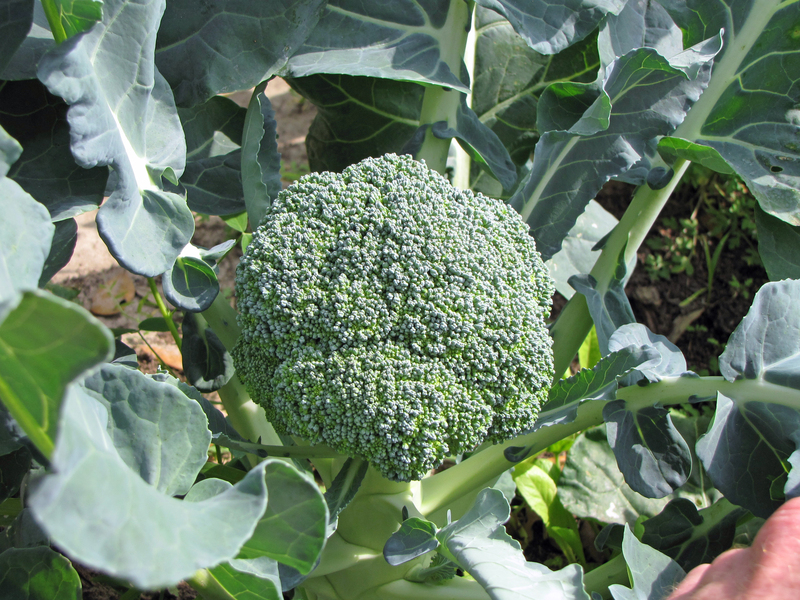 Broccoli is a cool-weather vegetable, and the time to plant it your garden is now. A good way to plant broccoli is in the 2-1-2 pattern. Plant two broccoli transplants side-by-side about seven inches off-center in a wide row. Move fifteen inches down the row and plant a single broccoli transplant in the center of the row, then move another fifteen inches down and plant two more broccoli transplants side-by-side. This 2-1-2 pattern leaves space on either side of the middle plant. Fill this space with dill, cilantro, or parsley to repel pests from your broccoli and to add color and fragrance to your garden. This intensive planting causes the leaves of the plants to grow together to form a canopy over the soil, which helps keep the soil cool and moist and provides a hiding place for beneficial predators. 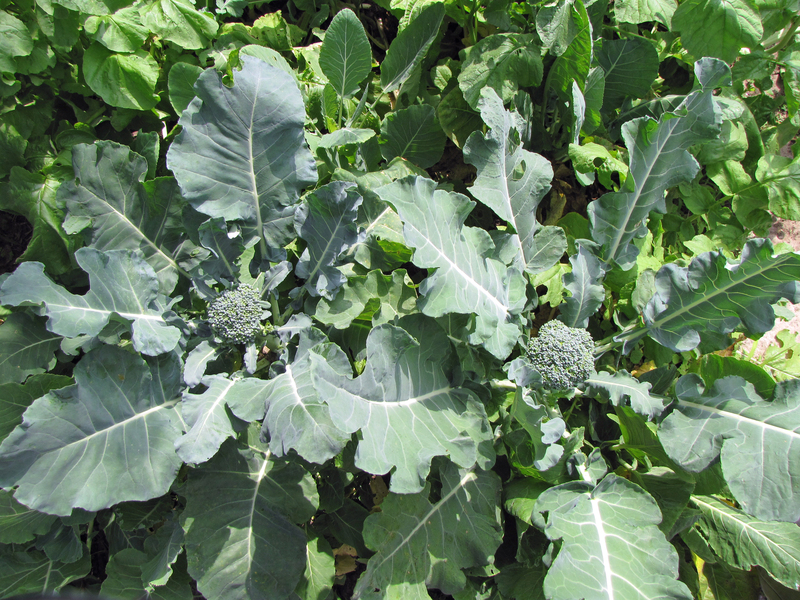 Broccoli matures in about eighty days. Harvest the large head that forms in the center of each plant, but leave the plants in the ground to harvest those dozens of tender florets that will continue to sprout. In the spring, sometime around March, the sprouting florets will immediately open into small yellow edible flowers. 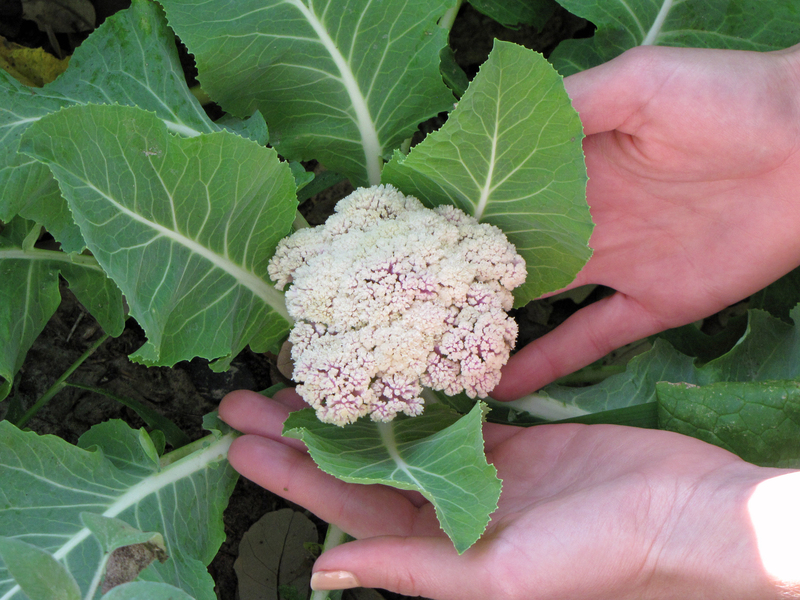 This is a sign that your broccoli is finished for the season, and you can plant your favorite summer produce in its place. 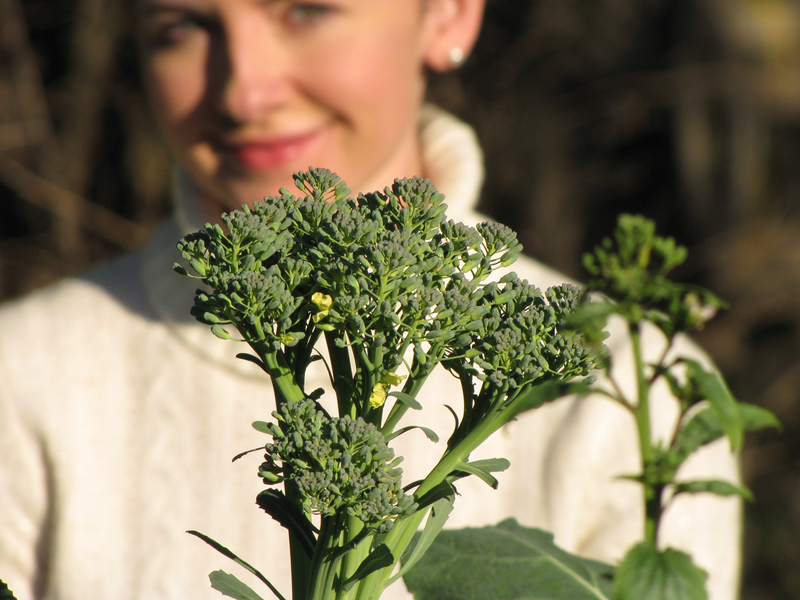 Love the story you did on the radio about how all these wonderful things all came from Sea Kale! Thanks Don! The ingenuity and creativity of those ancient farmers is pretty amazing. All of that selective breeding took place over thousands of untracked miles and across many lost centuries. A university scientist recently conducted a study where he selectively bred a wild sea kale into broccoli, cauliflower, Brussels sprouts, cabbage, and kale, to show how this happened over the centuries. My wife and I hiked along the cliffs on the North Atlantic coast in Ireland. I can’t imagine how anything could grow in that frozen salt spray. In one place, we could hardly stand upright and face the wind without getting blown off of our feet. And that was merely a mild storm. Still, you could see clumps of greenery growing from the cliffs and along the rocks. Those wild plants are a great starting place as a source of good garden vegetables! All the best to you Don! This is fascinating. For one thing, broccoli is my favorite veggie, and I had no idea it had such a storied history. I had my first flowers last year – they were quite tasty. Have you happened across the sea lettuce that occasionally grows on the jetty rocks? I’ve had salad made from it, but we found it much farther south. I think it was Matagorda, and winter time. We love broccoli flowers. Kayla steams broccoli and then covers it with yellow flowers just as she served it. It is beautiful on the plate and delicious. We let some of our broccoli plants go to flower and leave them in the ground until our nasturtiums and marigolds and other companion flowers come into bloom. Bees love broccoli flowers, and many beneficial predators are attracted to the flowers and come to the garden early in the season, before the more traditional flowers bloom. I would love to try sea lettuce! I have not seen it this far south. I will ask my friend David Ilfrey about it. He is an expert on native edible plants, and he is really good at finding them! Thank you so much for your kind words!